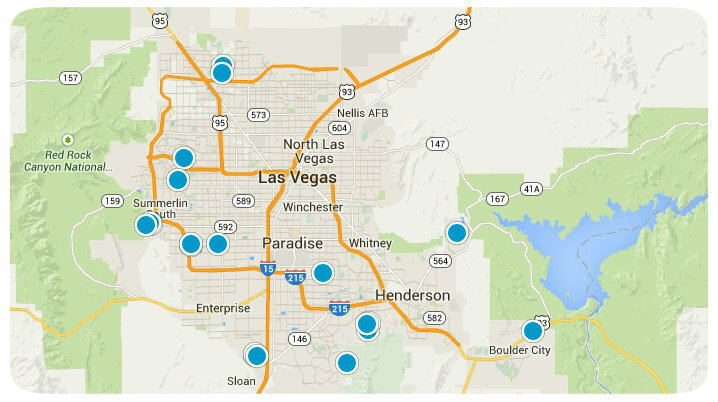 The latest Las Vegas Real Estate is listed here every day and just a click away. Welcome to the website that never sleeps! Only fitting because this is showing you all shapes and sizes of real estate that sites directly in the city that never sleeps. Viva Las Vegas baby! Las Vegas Find a Home is the premier place to shop for the dream home, second home, condo, fixer-up'er, or apartment in the best city in the world. Its easy to find exactly what you are looking for. You can either click on the link to the right to get the latest listings in the entire Las Vegas area, or you can also click map below and search for the perfect area for you. We even make it as easy as picking the type of real estate you are looking for. Just click on the options below and you will be seeing exactly what you want in seconds.